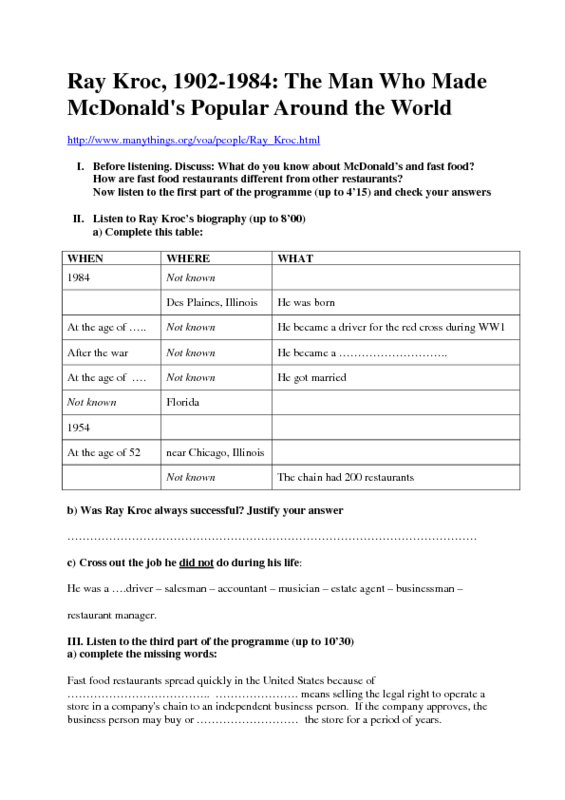 There are 4 listening tasks on this worksheet telling the story of Ray Kroc: the man who made McDonald's popular around the world. After listening, students are asked to reformulate the story in their own words. Can also serve as an introduction to other topics related to food (fast or slow...). 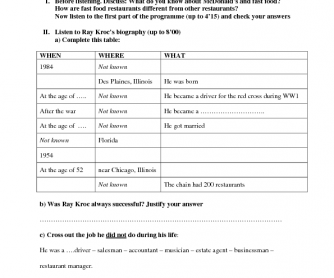 Link to mp3 file is provided at the top of the worksheet itself.